veryone has “loose bowels” from time to time, but chronic diarrhea can be a sign of a serious medical condition in addition to increasing the risks of dehydration and other problems. 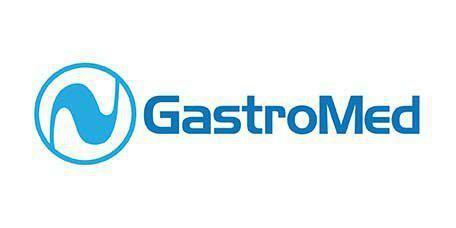 The team at GastroMed in Miami, FL, is skilled in diagnosing and treating diarrhea so patients can relieve symptoms and enjoy optimal health. What are the causes of acute and chronic diarrhea? Acute or sudden diarrhea usually is caused by or related to issues like sensitivities to food or medicines, food poisoning or exposure to toxic substances, a stomach virus or extreme stress, and it can also be related to hormonal fluctuations, especially those associated with menstruation. Chronic or recurrent diarrhea is often an indication of a more serious underlying issue or disease, and it can also be related to long-term issues like Celiac disease or lactose intolerance. Diarrhea is also a common symptom of both irritable bowel syndrome (IBS) and inflammatory bowel disease (IBD). Chronic diarrhea and even acute episodes that last for more than a day can cause dehydration, especially in elderly patients and children, and for that reason, it’s always a good idea to call the office if diarrhea persists for more than a day. How is the cause of chronic diarrhea determined? Diagnosis begins with a physical examination and a review of the patient’s symptoms as well as their medical history to look for risk factors for issues like IBD or other colon-related problems that could increase their own risks for disease. Depending on the symptoms, their severity and how long they’ve been occurring, blood tests and stool samples may be ordered, and additional testing may be recommended, including colonoscopy or flexible sigmoidoscopy to evaluate the colon or a portion of the colon, enteroscopy to evaluate the small intestine, or upper endoscopy to assess the upper gastrointestinal tract from the esophagus to the beginning of the small intestine. Other evaluations like ultrasound or CT scans may be ordered as well. What treatments are available for diarrhea? Patients with chronic diarrhea or severe acute diarrhea will be assessed for signs of dehydration and may receive fluids. In many cases, diarrhea may be controlled with medication to reduce bowel spasms associated with issues like chronic stress or IBS. In moderate to severe cases, like diarrhea that’s caused by IBD, supplements may be prescribed to ensure the patient is receiving adequate nutrients. When an infection is present, medication can be prescribed to treat the specific pathogen or germ that’s causing the infection.